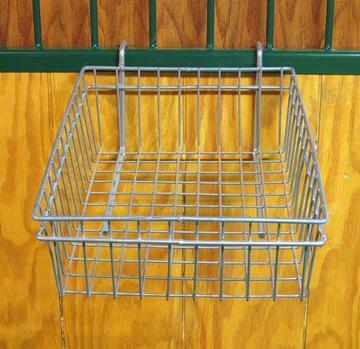 These wire baskets are great for maintaining a clean, organized tack stall. Hooks attached to the back make them easily portable and the wide grid pattern allows dirt and hair to filter through. 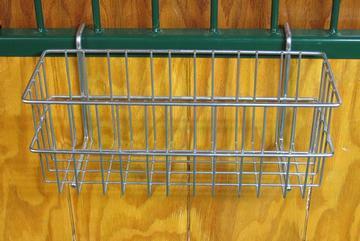 Tiered – three baskets that can be moved up and down the hanging bracket – 2 18”x9” baskets & 1 18” x 7” basket. Hooks for hanging are also detachable.